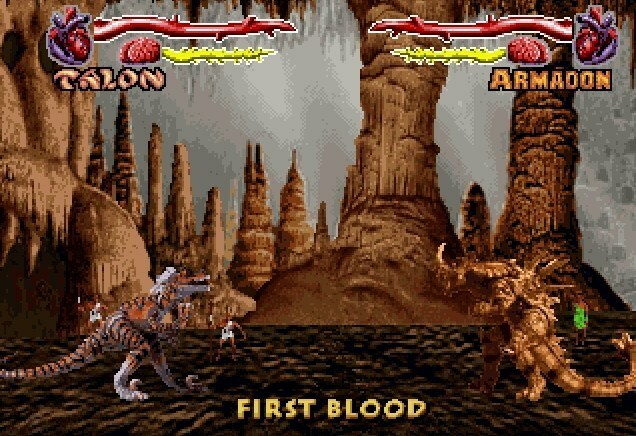 STORY: Before there were humans, gods walked the earth. They embodied the essence of Hunger, Survival, Life, Death, Insanity, Decay, Good, and Evil. 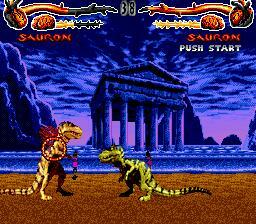 They fought countless battles up through the Mesozoic Wars. 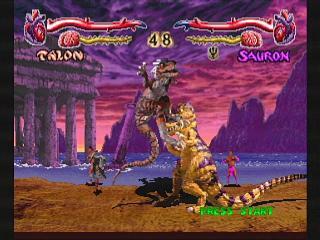 Then Balsafas, an arch mage from a parallel dimension, anticipated the threat that Earth's gods posed. 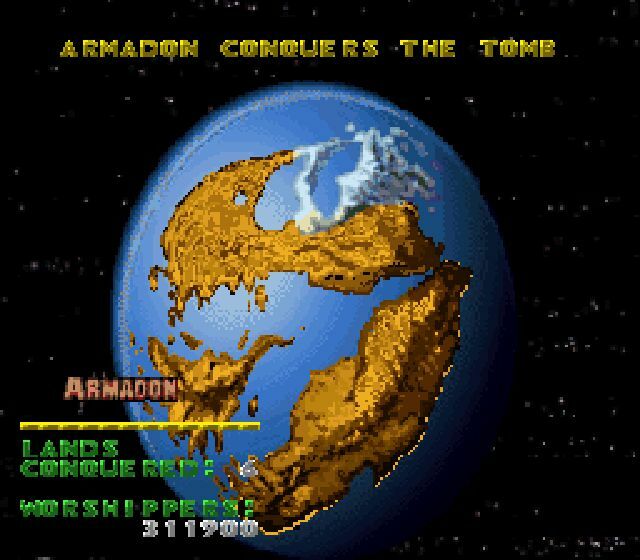 He was not powerful enough to kill the gods, so instead he banished one to a rocky tomb within the moon. 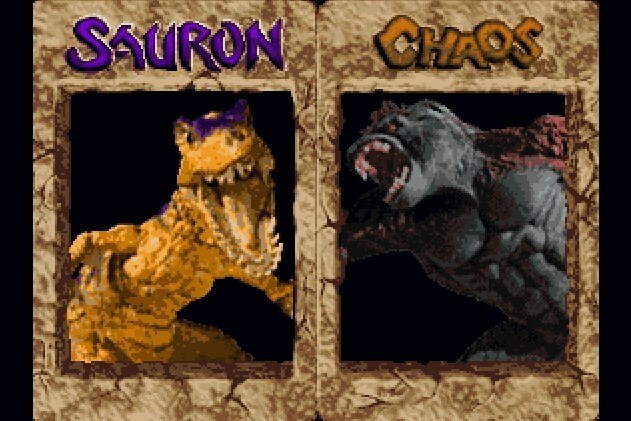 This disrupted the fragile balance between the gods; pandemonium ensued, and a great explosion threw clouds of volcanic dust into the atmosphere. 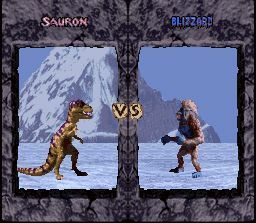 The dinosaurs died out, and the surviving gods went into suspended animation. Now, the impact of a huge meteor strikes the Earth. 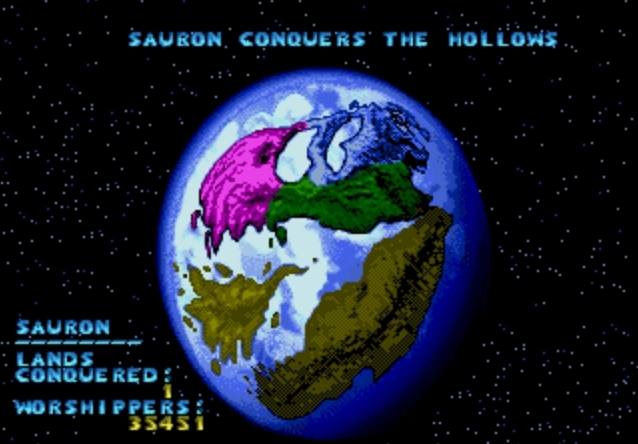 Its destructive force wipes out civilization, rearranges the continents, and frees the imprisoned gods. 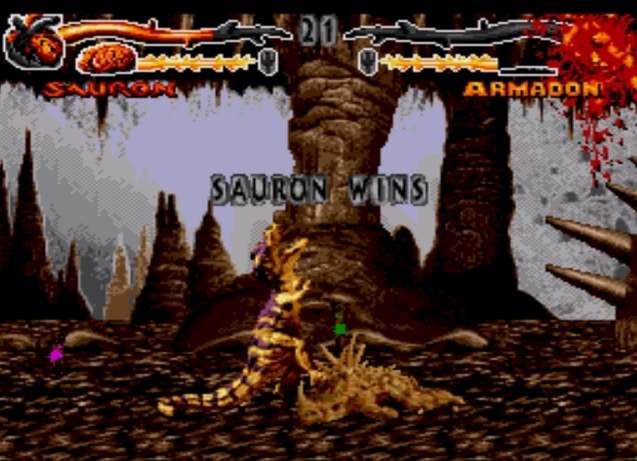 One of the smallest selection screens of all time!!! 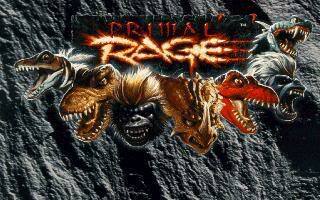 REVIEW: Primal Rage is a 2D fighting game featuring giant prehistoric creatures known as "gods" to the humans. 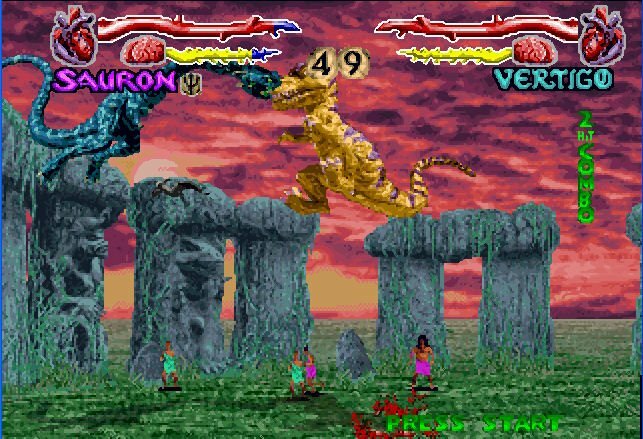 While the "gods" are fighting, human tribesmen wander nearby and worship their gods during battle... the giant beasts can toss the humans around or even feast on them to regain strength. 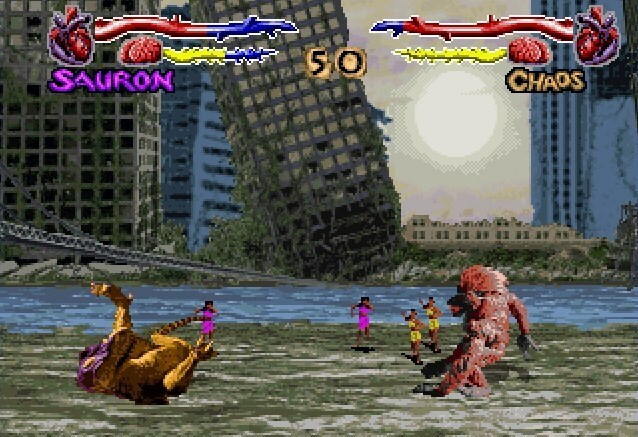 In addition, eating your opponent's humans will add to your score, while eating your own will penalize the player. Twisted... yeah? 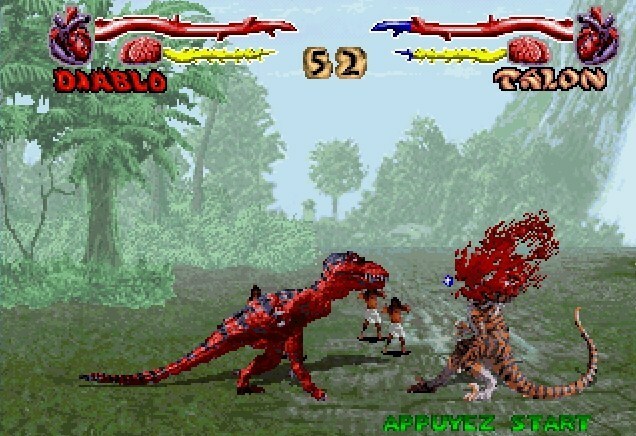 Jurassic Park meets Mortal Kombat. 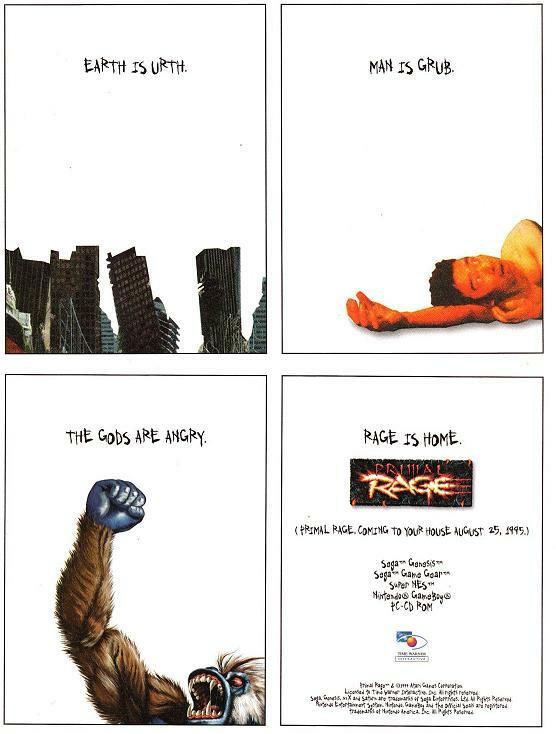 Apparently not the giant ape. 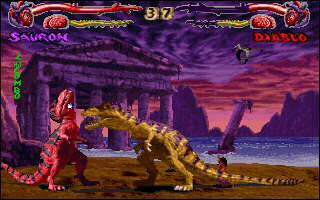 Unlike most fighting games, where special moves are performed by moving the joystick - followed by pressing one or more buttons, Primal Rage's control scheme requires the player to hold down attack buttons, then perform the joystick movements. 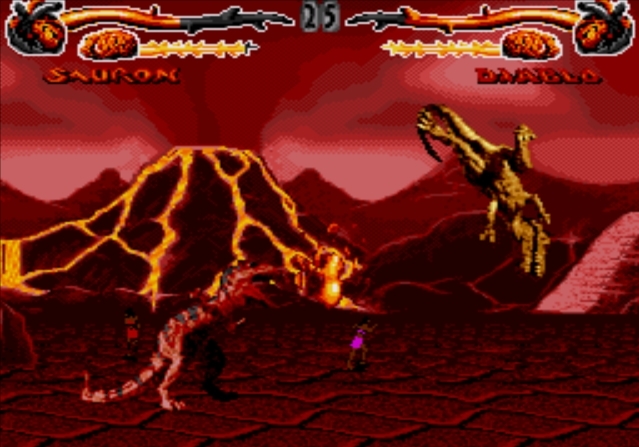 Later revisions of the arcade version added the ability to perform special moves the more traditional way, with motion followed by button presses, but kept the original method in place as well. 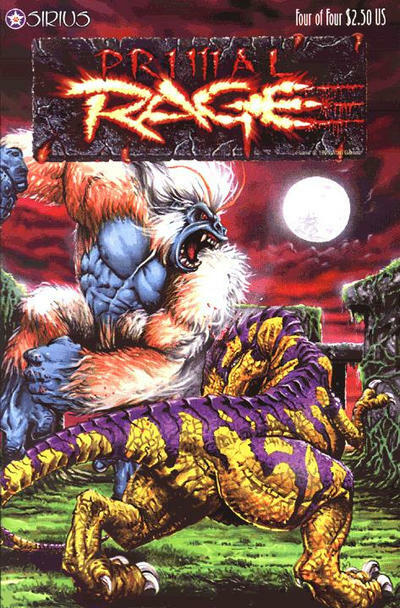 Primal Rage achieved a fair amount of success at arcades and retained its popularity when it was ported to a variety of home consoles. 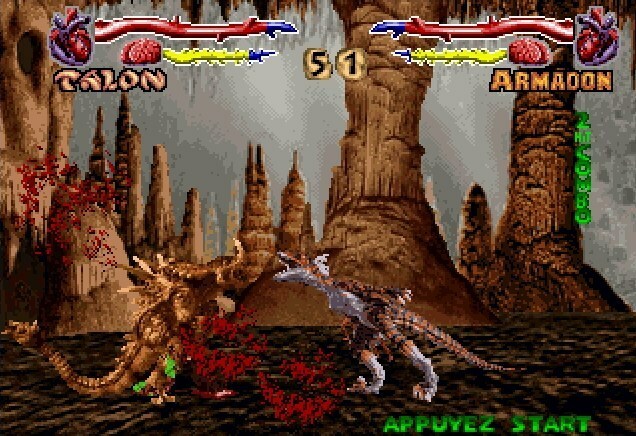 A sequel was actually planned (Primal Rage 2), but Atari games abandoned the project in fear that the game wouldn't make a profit. 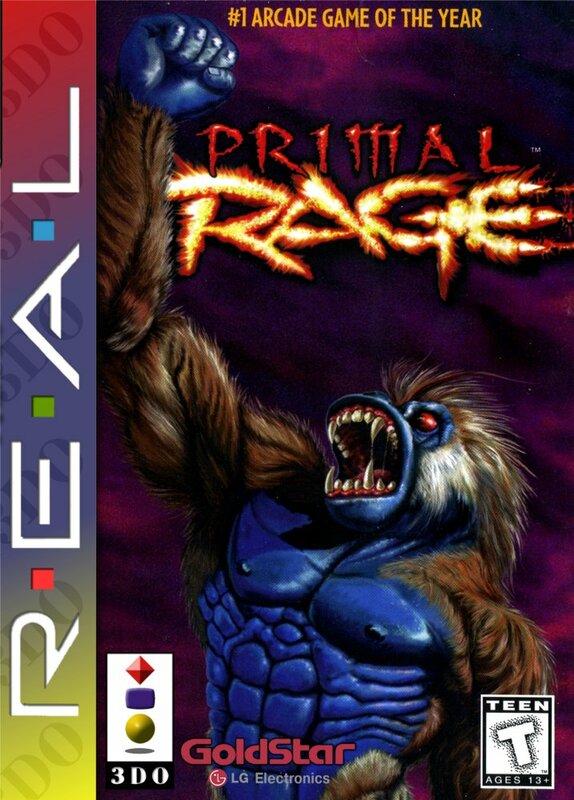 A few test cabinets of Primal Rage 2 were actually created, and rare footage of the prototype game can actually be found on Youtube. 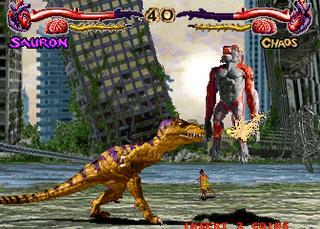 The sequel featured giant "human" gods who could turn into various beasts during gameplay. (And to be honest, it was ugly. I'm glad it wasn't released). 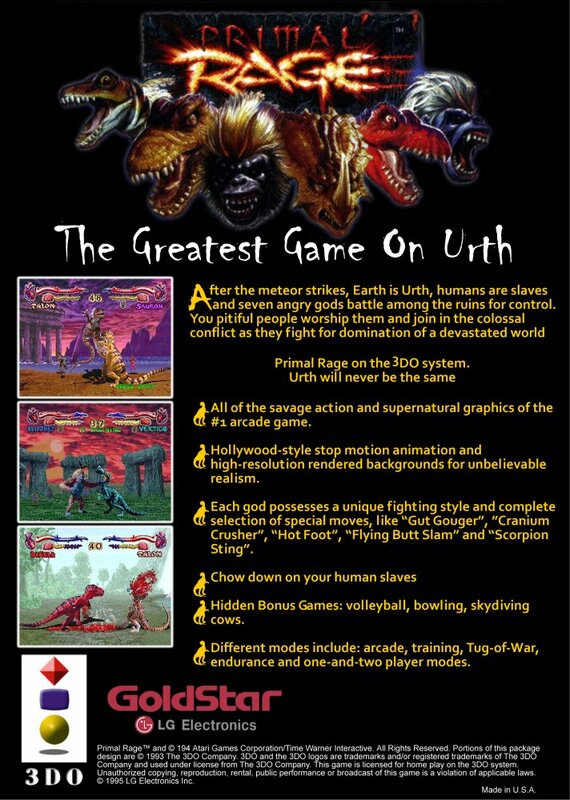 Final Words: Who would've thought the creators of Asteroids would create such a violent and borderline disturbing fighting game? lol. 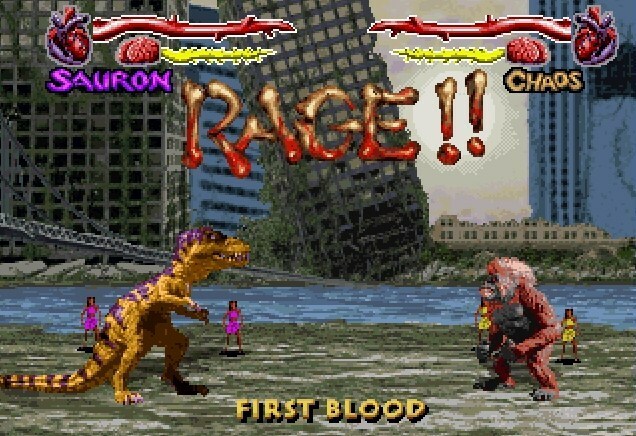 "Dinosaurs VS giant apes" never really held my interest, but for some reason I quietly slipped quite a few tokens into that Primal Rage arcade cabinet back in the day (notably at a few arcades that didn't offer better fighting games).